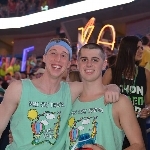 The year culminates with a 46-hour no-sitting, no-sleeping dance marathon known as THON Weekend. This event is held at Penn State's Bryce Jordan Center each year in the month February. Since 1977, THON has raised more than $136 million for the Four Diamonds Fund at Penn State Hershey Children's Hospital. 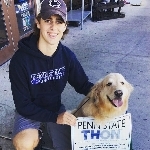 Phi Chi Theta stays committed to THON year-round by planning canvassing trips and participating in various fundraisers in order to raise money. This past year, Phi Chi Theta raised a total of $91,787.13 For The Kids! This total brought us to the #2 fundraiser of all General Organizations. In total, PCT has raised over $866,000 for the kids. A very spunky kid with a whole lot of energy, Savion Atterberry (Savi for short) loved playing video games with his older brother Juwaun, riding bikes with Poppy, and watching his dog Dodge be crazy. 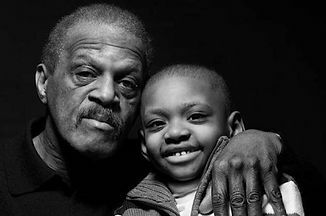 From York, PA, Savi lived with his older brother Juwaun, his Mom, Angie, and his grandparents, Robert and Lucille Atterberry. 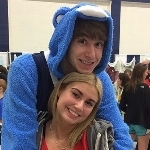 Savi attended his first THON when he was just a toddler, and has been in love ever since. He especially enjoyed the year when PCT's theme was his favorite cartoon characters, the Teenage Mutant Ninja Turtles. 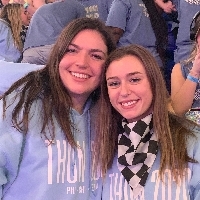 Over the years, PCT and Savi have created a great friendship through routine visits and having a blast at THON as he and the Atterberry's became a valued part of the Phi Chi Theta family. On January 17, 2016 at the age of ten, the Lord's angels came and gave Savion Atterberry his wings. A brave and courageous fighter through thick and thin, we remember Savi for what an amazing person he was. Often sick and in the hospital, Savi held fast to his tremendous empathy for others. When his aunt's house had caught fire, from the hospital bed he did everything he could to comfort her and make sure that she was alright. Another time when his cousin was in the hospital, he provided words of encouragement to help make her feel better. PCT has a great relationship with the Atterberry's to this day. It's on weekly phone calls with Angie and visits to York several times a year that we get to hear these amazing stories about our little superhero. PCT could not be more thankful to have the Atterberry's as a part of our family, and look forward to continuing this relationship indefinitely in the future. Fly high Savion. The Four Diamonds Family that PCT has been paired with the longest is the Mazur's. 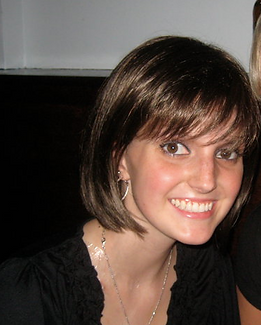 In November of 2005 while attending Wilkes Univesity, Jackie was diagnosed with Ewing's Sarcoma. However, this setback did not get Jackie down. In her words it was a "gift in disguise" as Jackie was introduced to Penn State, the Four Diamonds, and found her passion for nursing. Wanting to be a nurse practitioner specializing in pediatric oncology, Jackie then transferred to Penn State. Jackie also became a brother of ours in Phi Chi Theta while at Penn State. Having been deemed cancer-free in November 2006, Jackie was even more determined to beat cancer when six months later she was diagnosed with leukemia. In 2010 at the age of twenty-three, Jackie passed away. She was loved by her friends and family and was an inspiration to everyone who knew her. Jackie is very missed and will be forever in our hearts. We are very excited to introduce the newest member of the PCT family, Leiland Smith! PCT was lucky enough to be paired with the Smith family in November of 2016. 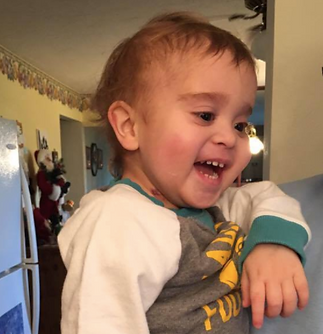 Leiland was born on February 9th, 2015, meaning that we will celebrate his second birthday just before THON 2017! Shortly after he was born, Leiland was diagnosed with LCH, a rare form of cancer. However, that hasn't stopped our little guy from being a tremendous fighter! Leileand entered remission in January of 2018 and was able to go to Disney with his family on behalf of the Make a Wish Foundation! Leiland loves Penn State football as well as hanging out with his mom, Logan.